As Easter Approaches- Our Family Needs to Unplug So We Can Plug into Christ! Find ways to have fun without plugging in during these final days of Lent! Time to Unplug Before Easter! Cyberspace is a modern tool for enhancing communication and information like a highway. As moms, we need to help our family realize when it is time to get off the highway and enter into the here and now. When all the family members take time to “unplug” from the highway of technology, it can allow your family to appreciate what is really taking place around them. The only problem with this concept is it is hard to unplug everyone at the same time! We can all begrudge the request of no technology. It can even be perceived as a punishment of some form, especially with children, but in fact, it is a gift! Family time is a key in teaching our children how to process their day and to share information that might go otherwise unnoticed. It’s important that we take the time to connect with our children instead of our devices. Take sometime to reflect on how much your family is spending on technology. Consider taking time out to unplug during these final days of Lent to pray, discuss, and have fun together! Last night when we did just that. We had a family match of arm wrestling followed by Foosball. 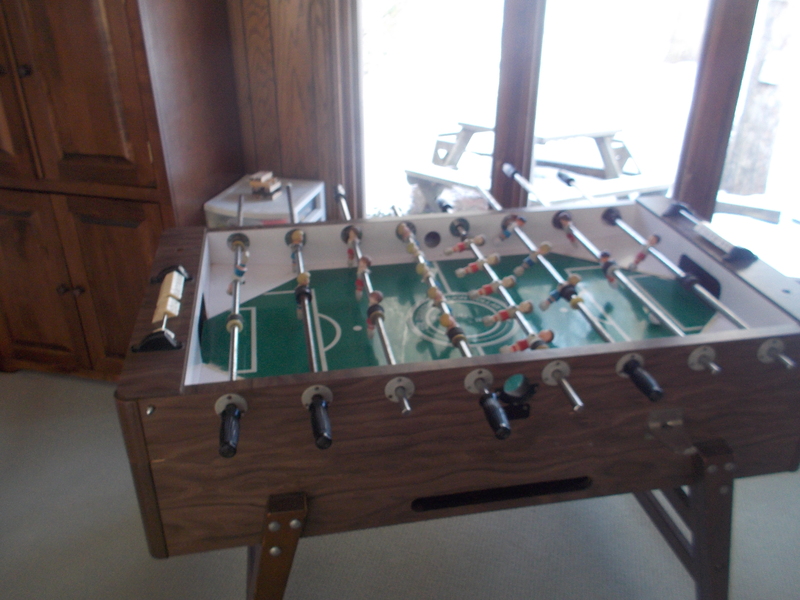 This old Foosball table in the picture above has been in my family since I was a little girl! It is a staple in our family room and way for people to connect without plugging in.